I love coffee card with beans heart. Pink text. I love coffee card with beans heart. Blue text. Card with coffee. Lettering. 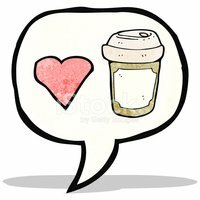 I love coffee.